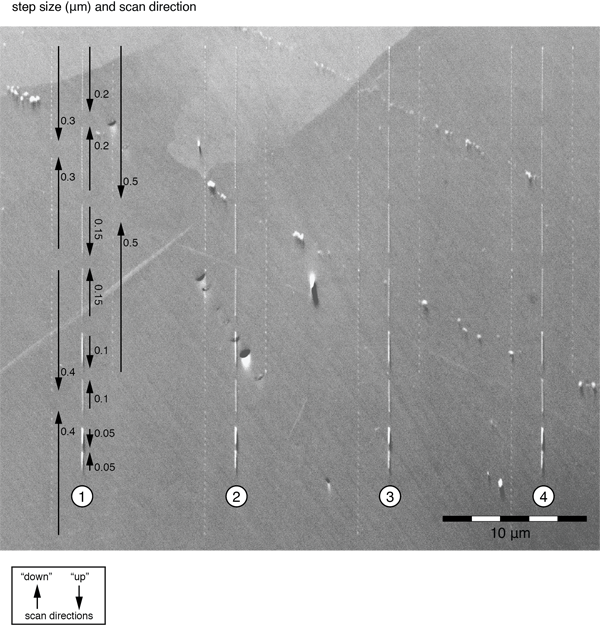 Electron BackScatter Diffraction (EBSD) is a fantastic technique for documenting microscopic variations in mineral orientations and grain size and is an indispensible tool in material science and geology. The figure above is from a recent study demonstrating that, for high-resolution maps, scanning in the opposite direction than is generally specified produces substantially improved results. I’m continuing to explore EBSD techniques and applications in several ongoing studies.